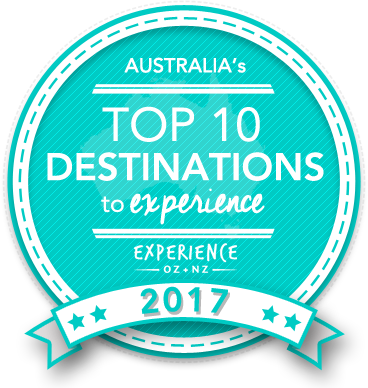 Vote forMagnetic Island, QLDTop Island Destinations Which are Australia's must-visit destinations? You help us decide. Queensland's Magnetic Island remains something of a hidden gem in terms of island travel that allow visitors to experience the best of a destination that combines both eternally warm weather and proximity to a stunning reef environment into a single, enjoyable package - and for a highly reasonable price. Situated in a spot on the tropical QLD coast just off the coast of regional city Townsville, Magnetic Island stands a destination that's generally far less crowded than some of the similar yet more commercial Queensland island destinations while still offering a majority of the same benefits as well. Known as 'Maggie' to locals, all it takes is a quick and easy ferry ride from the mainland to arrive on its lovely landscape which offers a mixture of rocky shores intertwined with quality beaches, a range of fringing reefs in which to snorkel, and plentiful native wildlife. Magnetic Island also tends to be quite a bit easier on the budget compared to other tropical QLD reef travel hotspots, and boasts a good range of variety of accommodation ranging from backpackers for those wanting to keep the costs down, all the way up to quality higher-end resorts for those looking to splurge. It's a good thing, as spending at least two days here is a must, providing extra time to explore Maggie's many excellent walking tracks, snorkelling trails, and explore its wide expanses of national park. While it's a popular destination for travellers and tourists, unlike many other reef islands Magnetic Island is home to a fairly large residential community, which means that its infrastructure is far more developed than many other offerings of its ilk. As a result, visitors will have far more options to choose from in terms of both restaurants and activities, making multi-day stays more than viable. There are a number of essential experiences to take part in while you're here as well; every visitor should do the 2.8km-long Forts Walk which showcases the remnants of historic WWII fortifications; those visiting with kids will want to take them to the excellent Bungalow Bay Koala Park for some close-up animal encounters, or alternately encounter animals in the wild at Geoffrey Bay. And, of course, no trip to Maggie is complete without hitting the waters of the gorgeous Horseshoe Bay and making your own little custom snorkelling itinerary. Looking to pay a visit to Magnetic Island but not sure what to do? Here are some of the most essential experiences. What's new on Magnetic Island in 2017/2018? The island has always attracted outdoor sporting enthusiasts and the latest groups are extreme sports people who are flocking to the island for organised runs, mountain biking, kayaking, boot-camps and something called 'bouldering'. Destination Adventure on the island now has a full calendar of fitness retreats and sports clinics. Next April Adventurethon will put on its 6th annual "Dirty Weekend", a sweaty, muddy, exhausting and exhilarating multi-sport challenge. The quirkiest new sport to descend on the island is Bouldering! It's a kind of rock climbing that is extremely challenging and very safe at the same time. The challenge is to climb up a big, BIG rock bare-handed, with no ropes or other climbing aids. Is Magnetic Island Australia's Top Island Destination to Experience for 2017? Vote now for the chance to WIN an epic trip to one of Australia's top destinations!